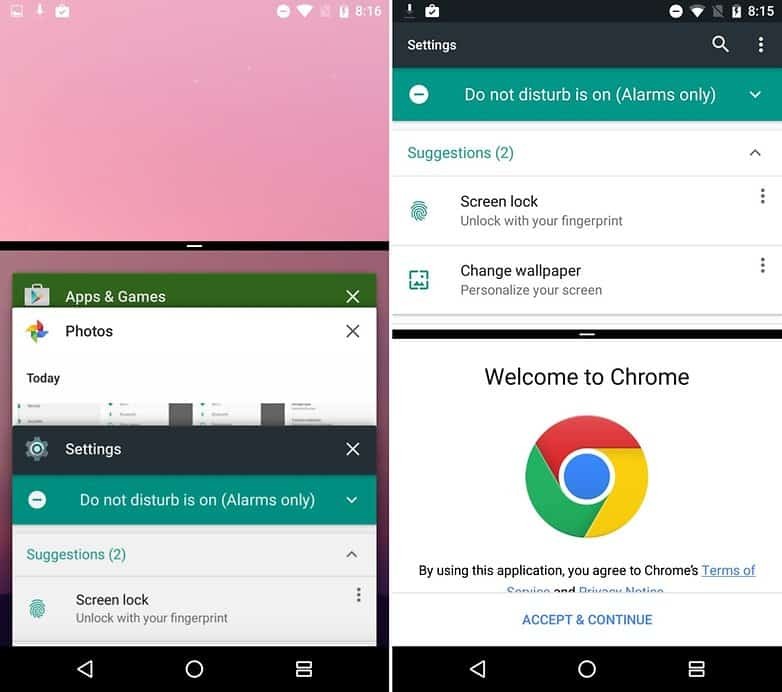 Multi-Window View is said to be the most noticeable new feature in Android Nougat 7.0 which is also known to be split-view multi tasking which tends to be a long-overdue addition to its operating system. Found only in customized Android casings like Samsung TouchWiz, this feature tends to permit the user to view two apps simultaneously and is great when one wants social media or email inbox visible at the time of browsing the web or editing images. Select an app from the recent apps and if the app needed does not appear in that view, you could tap Home button. Since all apps do not tend to support Multi-Window View mode, you will receive a warning if that is the situation for apps one may select. 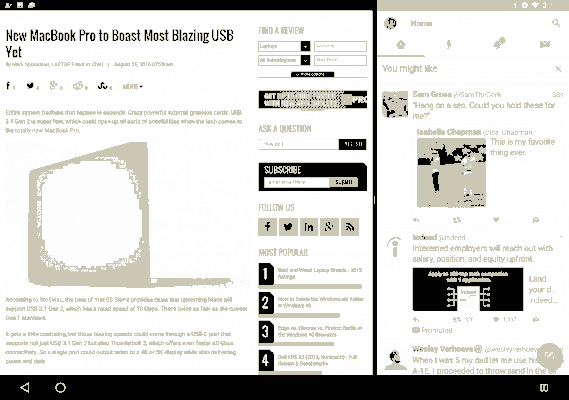 You have now set up a split-view. Now drag the dividing line left and right to resize and tap Home to locate a new secondary app from the home screen, tapping the Split Screen button towards the bottom right area in order to select a recently used app. With Android 7.0 Nougat we have multi-window views on the platform though it comprises of the same asterisk which is in other split-screen capabilities and one cannot use the same program side by side of the screen. However, there seems to be an app that can fix the same. For Nougat, Parallel Windows enables the user to view the same app on both sides of the screen, a thoughtful upgrade for users carrying numerous chats in Hangouts, or desiring to view various tables simultaneously in Hangouts.It is not known why this feature had not been built in Android. Tap on the app and the app would be mirrored now.